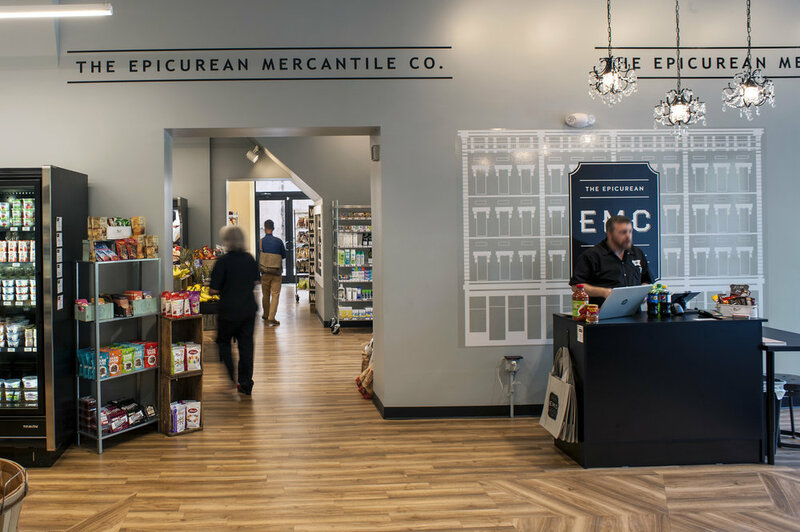 Located in heart of Over the Rhine, The Epicurean Mercantile Company (EMC) is a vibrant urban grocery with a café/lunch counter and outdoor dining area. 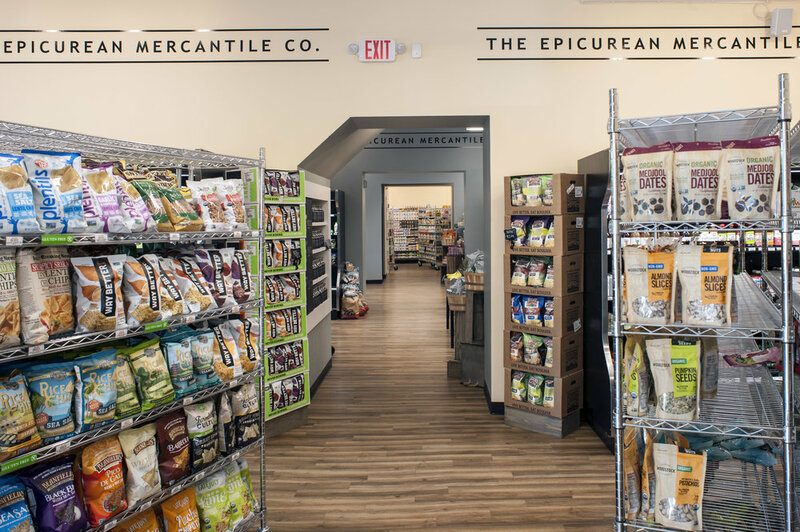 Located just north of the historic Findlay Market, EMC is the vision of Meredith Trombly and Louis Snowden, co-owners of Fresh Table. 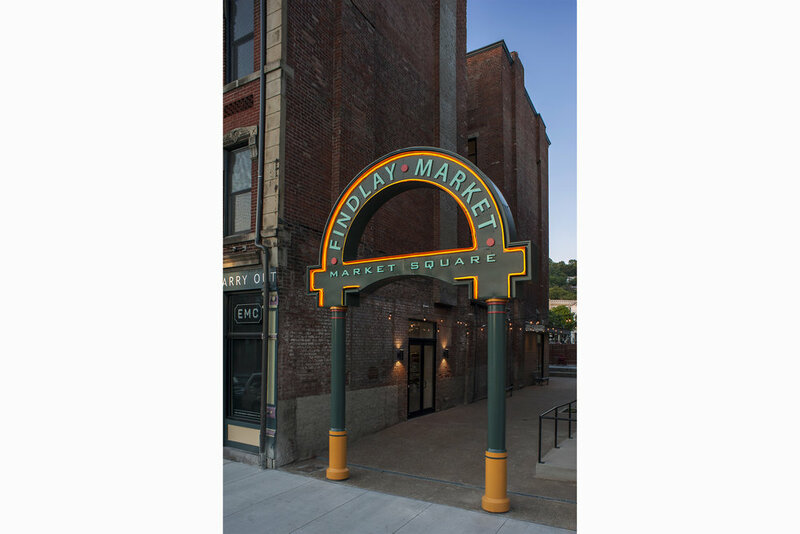 As part of the Market Square Phase 1 project (by the Model Group), the store exemplifies the ongoing redevelopment of the Findlay Market neighborhood. 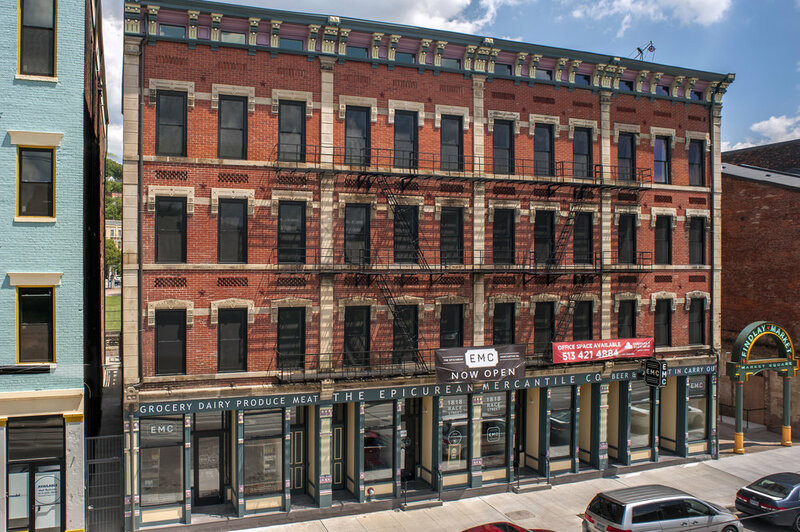 The challenge of the project was to take a compartmentalized building and create a space that is bright and open with adequate circulation; while simultaneously respecting the history of the building and achieving historic state and federal tax credits. 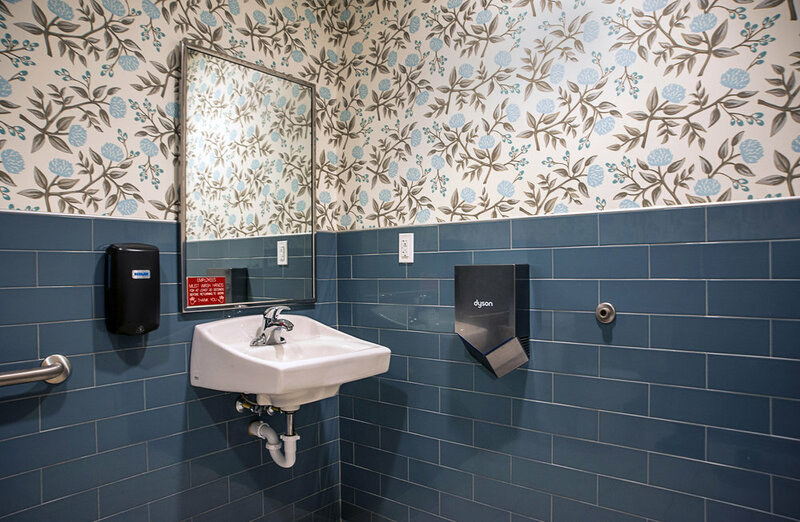 By creating new openings in existing masonry walls, we were able to provide continuous movement throughout the bays, drawing shoppers to the rear cafe and to the outdoor dining area. These critical connections achieved a sense of openness, and gave presence of the rear café to Race street. 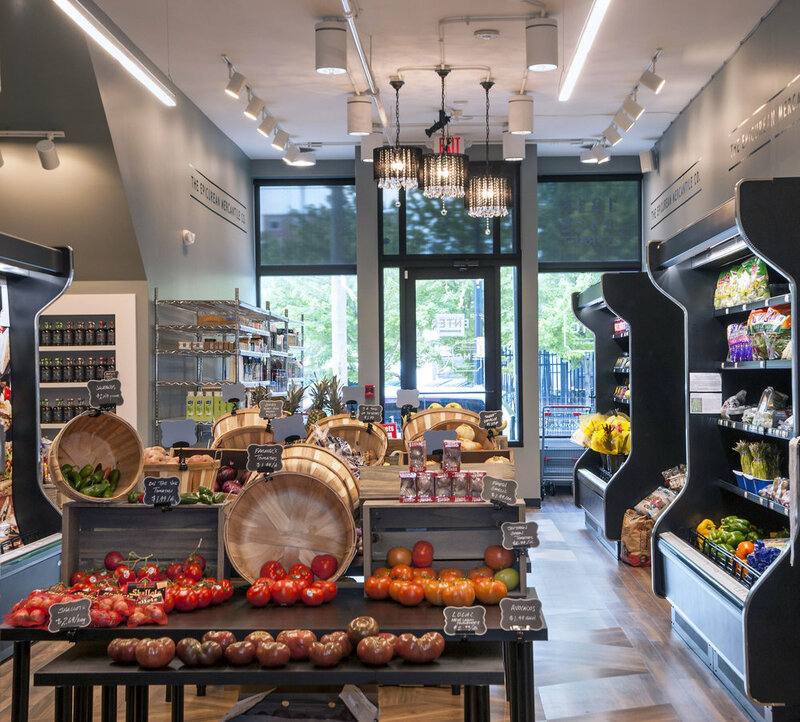 Careful use of colors, textures and materials were deployed to create a fresh backdrop for merchandising and branding. 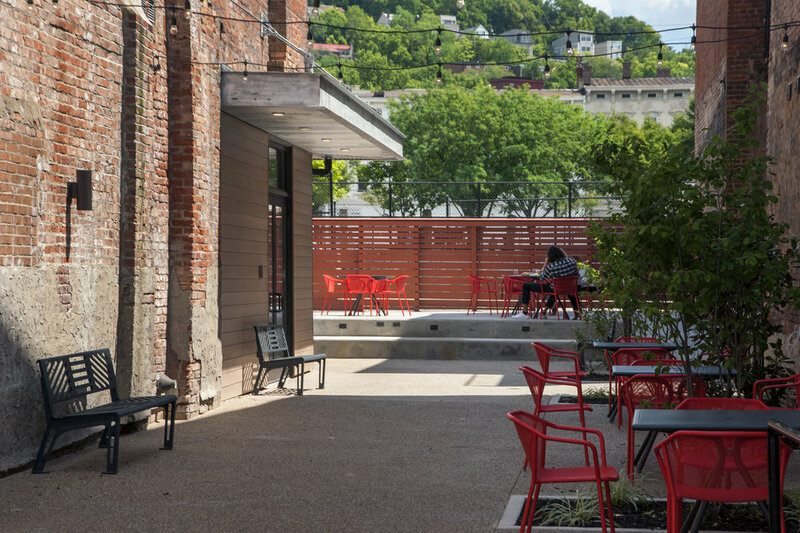 The outdoor dining area located along the southern facade is an extension of the public ‘red chair’ outdoor spaces provided by Findlay Market - once again connecting EMC to the historic Cincinnati Landmark and to the greater Market neighborhood.